Need some help with something? The answers are below! If you are experiencing technical difficulties with this website, please email barnsleyfc.direct@barnsleyfc.direct. 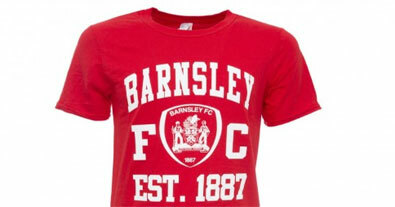 BarnsleyFC Direct is the official retail outlet for Barnsley Football Club. 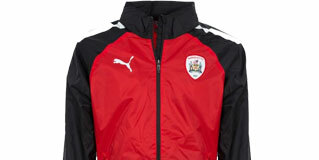 All products on this site are endorsed by Barnsley Football Club and are official merchandise. How secure is it to give my credit card details to you via the internet? For the final stage of ordering, where you give us your credit card details, you will have already been transferred to a Secure Server. We use SSL encryption to "scramble" your details and so the payment system used by BarnsleyFC Direct is very secure. All payments are handled by Optimany. We aim to despatch all orders within 3 working days but please allow longer for busy periods. A signature will be required on delivery of your goods. If you do enter special instructions for your goods to be left with a neighbour or to be left in a certain place on your property, Barnsley Football Club cannot be held responsible if your parcel is damaged or missing. Do the products come with a guarantee? Yes. All our products come with a "no quibble" 14 day money back guarantee with the exception of dvds and cds that can only be refunded if faulty or at the managers discretion. If you are not entirely satisfied with the goods you have purchased, please return them in their original condition. 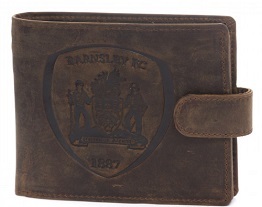 If you wish to exchange merchandise or require a refund, please return the merchandise to BarnsleyFC Direct, Oakwell Stadium, Grove Street, Barnsley, South Yorkshire, S17 1ET by REGISTERED POST/RECORDED DELIVERY. Postage is paid by the customer. We regret we cannot accept responsibility for any items which are not returned to us Registered Post/Recorded Delivery. For exchange or refund the items need to be accompanied by the receipt as proof of purchase. If items are unsatisfactory they must be returned within 14 days. All goods returned must be in good condition. We reserve the right to refuse to exchange or refund items that we consider to be damaged or that have not been treated in accordance with the instructions provided. Yes. You should receive an e-mail confirmation which will include the telephone number you should call if you have any queries. You will also receive an email when we have dispatched your products. If you do not receive an email please contact us immediately to check your order has been accepted. Can I return personalised shirts? Please ensure that the correct size of shirt is ordered as personalised shirts can only be refunded if the shirt is faulty. Barnsley Football Club cannot accept any responsibility if a player leave the club or for unconfirmed/changed squad numbers. 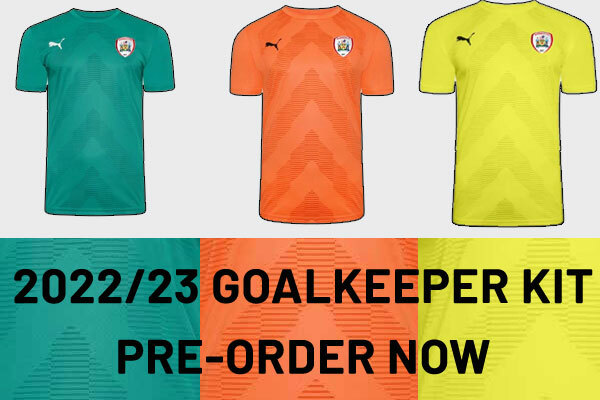 Personalised shirts relating to this issue cannot be refunded. 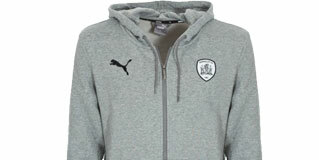 Please ensure correct details are entered as BarnsleyFC Direct is not responsible for customer error. If the item appears on our website, then it should be available for shipping. Unfortunately, we cannot guarantee that every item you request in your order will be available at the time we process your order. We update our stock levels regularly but it is possible that an item will appear to be available after it has sold out. Please accept our apologies in advance if we are unable to complete your order due to a stock issue. We will notify you by email if an item in your order is no longer available. Any remaining items in your order will be processed and dispatched. We can help you make an alternate selection or keep the item on file if available at a later date. Thank you for your understanding. Throughout this document "we", "us" and "our" refers to BarnsleyFC Direct and "you" refers to any visitor, returning visitor, or buyer to the barnsleyfcdirect.co.uk website. Each time you access our website you are agreeing to our terms and conditions, whether you place an order for goods or not.